The drive to Antalya took us through the Taurus Mountains, introducing us to another interesting landscape. Aspendos, located beside the river Eurymedon, is renowned throughout the world for its magnificent ancient amphitheatre. In fact, it is still being used for seasonal opera performances. During our visit, a small child jumped up and down in the orchestra area. When visitors clapped near the stage, the quality of the acoustics was demonstrated. The theatre was constructed during the reign of Marcus Aurelius (161-180 A.D.) by the architect Zeno, the son of an Aspendian named Theodorus. The theatre probably could seat between 10,000 and 12, 000 spectators. A Roman stadium is located a short walk from the theatre. Perge was an ancient Greek city in Anatolia and the capital of Pamphylia. There is an acropolis dating back to the Bronze Age. 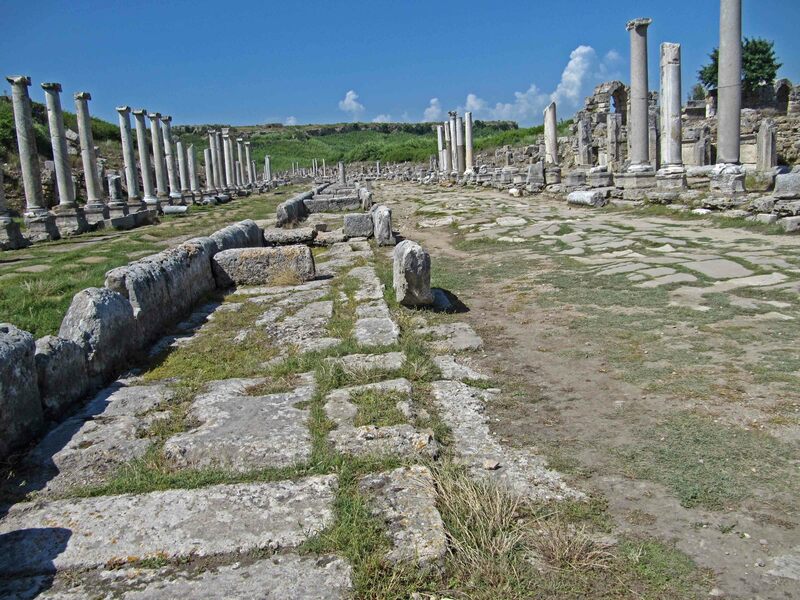 During the Hellenistic period, Perge was one of the richest and most beautiful cities in the ancient world famous for its temple of Artemis although its exact location has yet to be discovered. It also is notable for being the home of the renowned ancient Greek mathematician Apollonius of Perge. During the reign of Constantine, Perge became an important center of Christianity. During our tour we noted an interesting water canal that ran down the middle of the street. The bath used a complicated steam heat system. Partial columns surround the large agora. The drive to Antalya took us over mountains and then followed the coast of the Mediterranean Sea. Thousands of greenhouses in various forms lined the valleys. This is an important agricultural area producing beautiful tomatoes, eggplants and all sorts of other vegetables and citrus fruits. 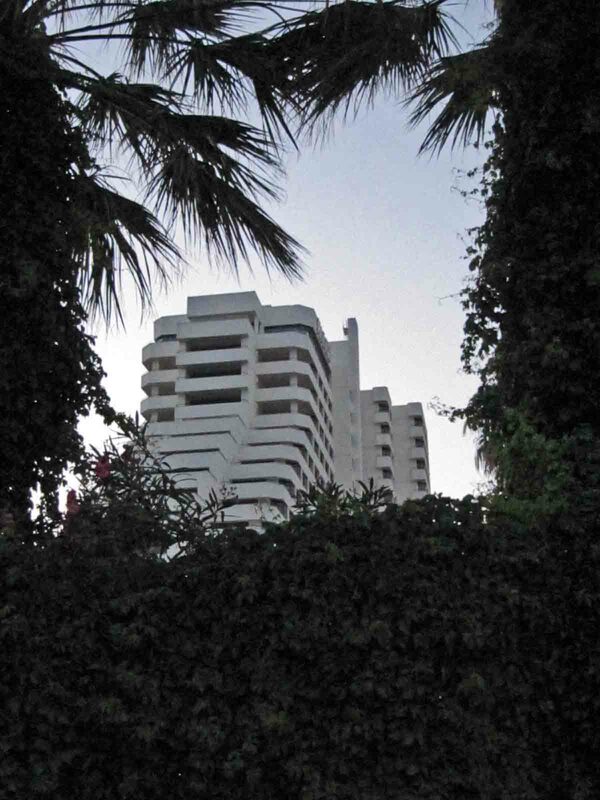 Our accommodation in Antalya was the Rixos Downtown. Our room had a view of Konyaaltı Beach on the Mediterranean. The hotel has a well kept spacious garden and large tropical pool. We walked along the cliffs overlooking the water in one direction after dinner and the other direction after breakfast. For good reason Germans and Russians love to visit this region of Turkey. Phaselis is an ancient Lycian city in the province of Antalya, Turkey. 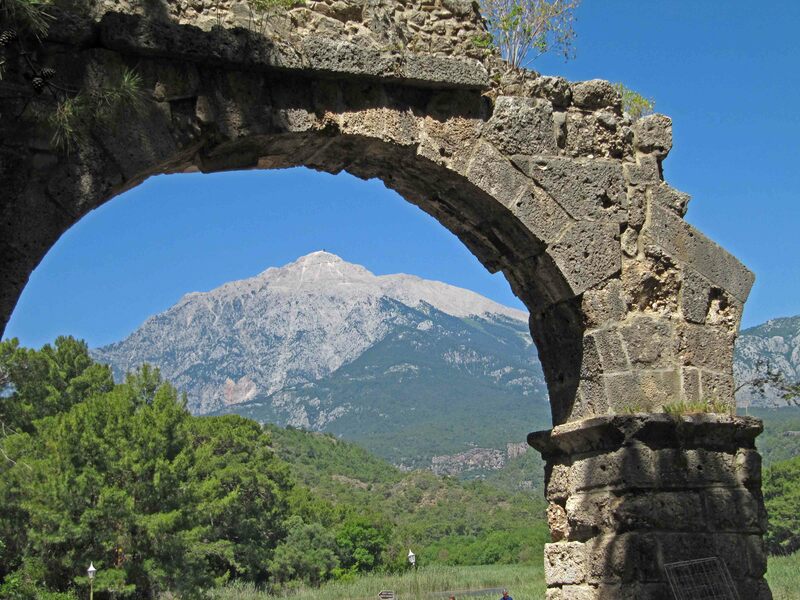 It is located between the Bey Mountains and the forests of Olympos National Park. Later Greeks and Romans took advantage of its location on the Mediterranean. 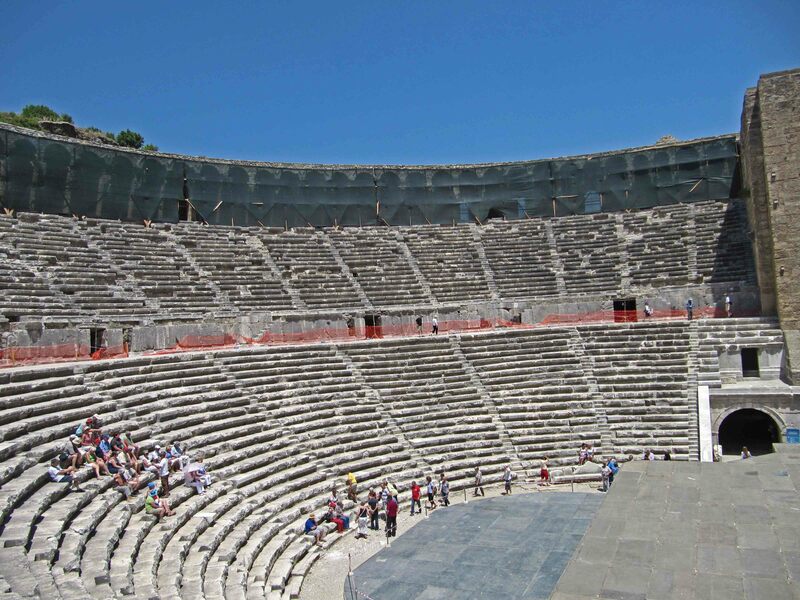 The Greeks constructed the theatre with a picturesque mountain backdrop. We stopped for lunch in Myra which is known for its connection with St. Nichols. This is a pilgrimage site for many Russians. In 1863, Tsar Alexander II of Russia purchased a church constructed mainly from the 8th century onward. After lunch we toured the ruins of a Lycian and Roman town whose theatre has been partly excavated. This spot also has Lycian rock-cut tombs carved into the vertical faces of cliffs. Interesting faces carved in stone line the pathway. The Sultanhan is a caravansaray about 25 miles southwest of Aksaray. It was built in 1229 by Sultan Alaattin Keykubat I. It has two sections, one open courtyard and another covered area. It is the largest of all Seljuk caravansaries in Anatolia covering about 1.2 acres. The entrance is through a huge, geometrically decorated portal. The courtyard is surrounded by small rooms. In the middle is a small mosque. 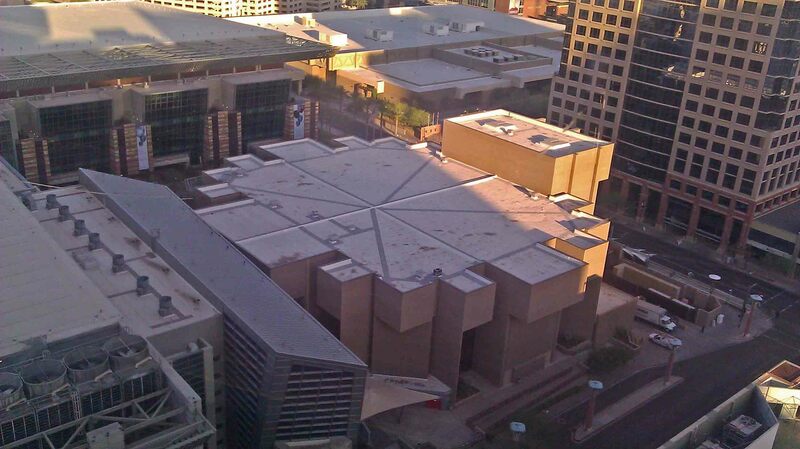 At the far end is another portal that contains cathedral like aisles with a dome capped by an octagonal conical roof. This was a public building built for trade but useful militarily, too. The distances between caravsarays was determined based on the usual distance a camel could walk in a day, about 15-26 miles. Konya, one of the first inhabited cities in history, is located in the middle of the Anatolian steppe. Wheat and sugar beets grow in the fertile land around the city. Large manufacturing complexes lined the road we took to enter the city. We enjoyed an impressive lunch featuring lamb at Konya Mutfaği. 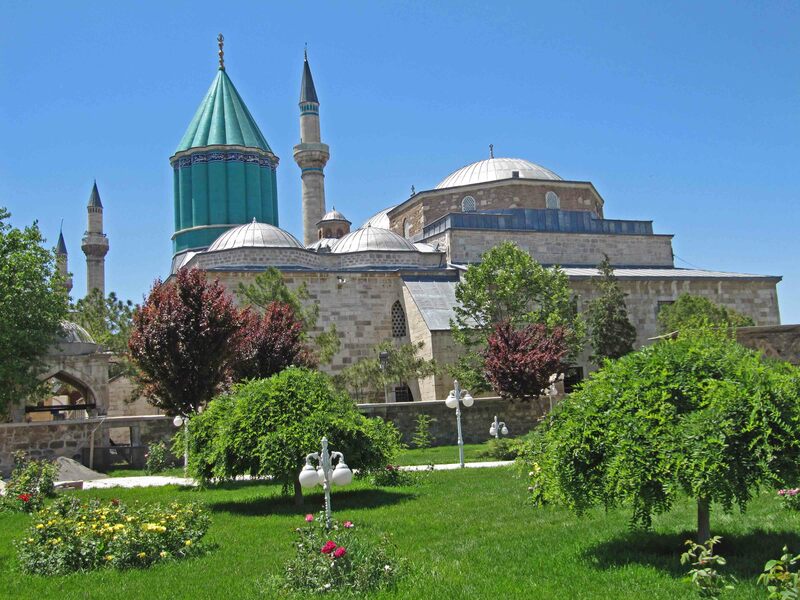 The Mevlana Museum enshrines the tomb of Jelaleddin Rumi, founder of the Whirling Dervish sect and later awarded the honorable title of Mevlana. We placed plastic coverings over our shoes before entering the mausoleum. The mausoleum room is highly ornamented with Islamic script and enameled reliefs, and contains the tombs of several of the more important figures of the dervish order. The tomb of his father, Bahaeddin Veled, is upright and adjacent to his son’s, a position that signifies respect. 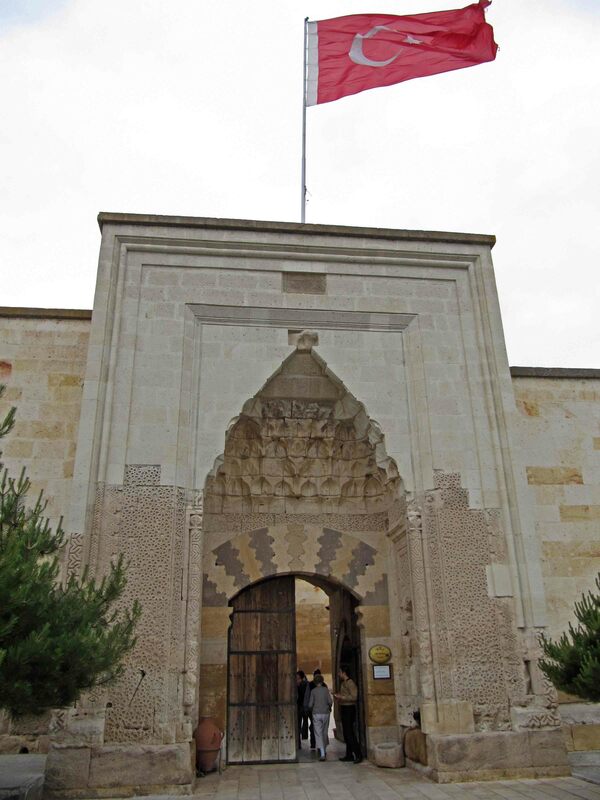 The main tomb enclosed behind a silver gate crafted in 1597 is that of Mevlana. His epitaph reads: “Do not seek our tombs on this earth – our tombs are in the hearts of the enlightened.” The adjoining room, or the semihane, is now a museum of Mevlana memorabilia displaying musical instruments and robes belonging to Mevlana, along with Selçuk and Ottoman objects like gold-engraved Korans from the 13th century. Of special note was a fabulous ancient prayer rug. One of Rumi’s poems was read at our wedding; it was great to learn more about this important spiritual leader. Crowds of people came to pay their respects. We learned that the government pays the travel costs for rural women to make a pilgrimage to this site. Dervish Brothers, located in the alley about a block from the Mevlana Museum, is an active Sufi dergah. Our host, Uzeyir Ozyurt, introduced us to some Sufi rituals and lectured on key fundamentals of the order such as unity, faith, and love. 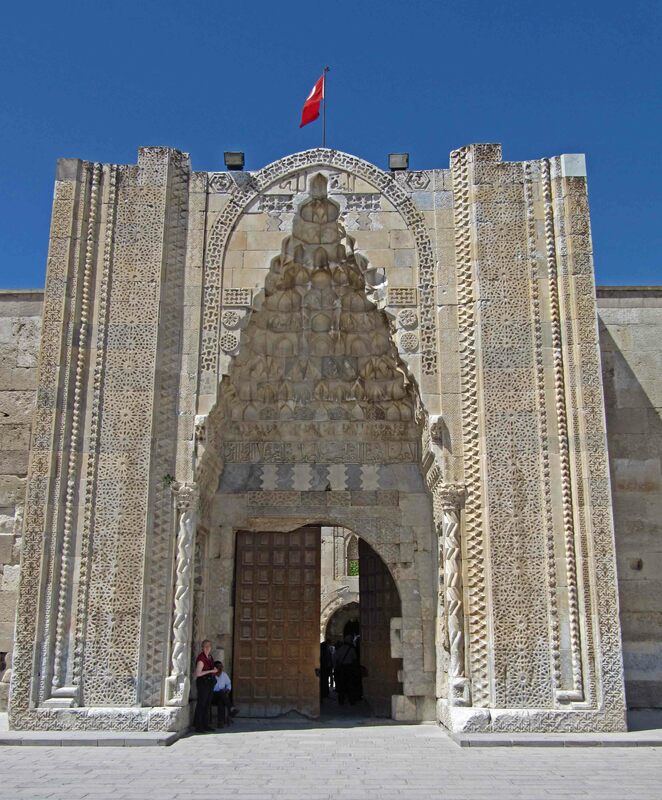 Our stay in Konya introduced us to one of the most religious places in Turkey. Our drive from Ankara to the Cappadocia region introduced us to the land of Turkey. Agriculture is an important industry, especially wheat and potatoes. Turkey has its own Salt Lake, its second largest lake covering some 643 square miles, which flows parallel to part of the highway. 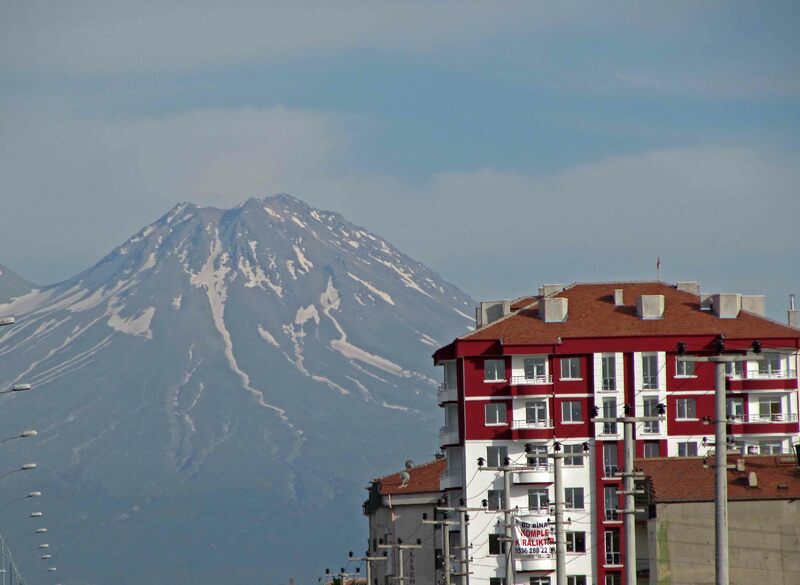 During a pit stop in Aksaray, there was a magnificent view of Mount Hasan, an inactive volcano rising 10,672 feet. We arrived in Űgűp where we stayed in Yunak Evleri, and delighted in a multi-course dinner on their terrace upon our arrival. Our accommodations were a multi-chambered suite in a cave. The next morning we took a hot air balloon above Goreme for aerial views of Cappadocia’s extraordinary landscape. Kapadokya Balloons started offering this popular activity in 1991. Now some 22 companies are competing for the tourist business. Our day started with a pickup from our hotel at 4:15 a.m. Our one hour and ten minute flight was piloted by Mustafa Ağa for 22 passengers. Following a smooth landing, we toasted our successful flight with a shot of champagne in cherry juice. A visit to the Gőreme Open Air Museum introduced us to this unique Christian monastic order that lived in caves. 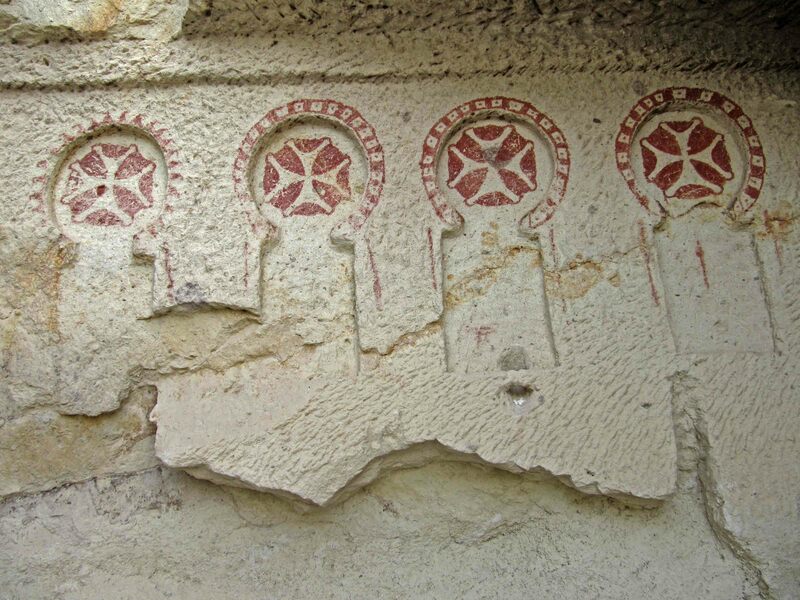 The numerous small churches carved in the rock celebrate different religious figures and biblical history mainly with frescos that have been damaged either intentionally during the iconoclast period or by believers who mixed mineral-based paint flecks with water for good health. On our drive to our lunch spot, we stopped at an overview to look at the snow capped Argos Volcano in the distance. Fairy chimneys are limestone pillars often capped with basalt tuffs. Although I had seen pictures of these unique geological formations, I had no idea that they might also be someone’s home. Our lunch stop was the Tipik Tűrk Evi which is in a fairy chimney home in the Cevizli area of Uçhisar. 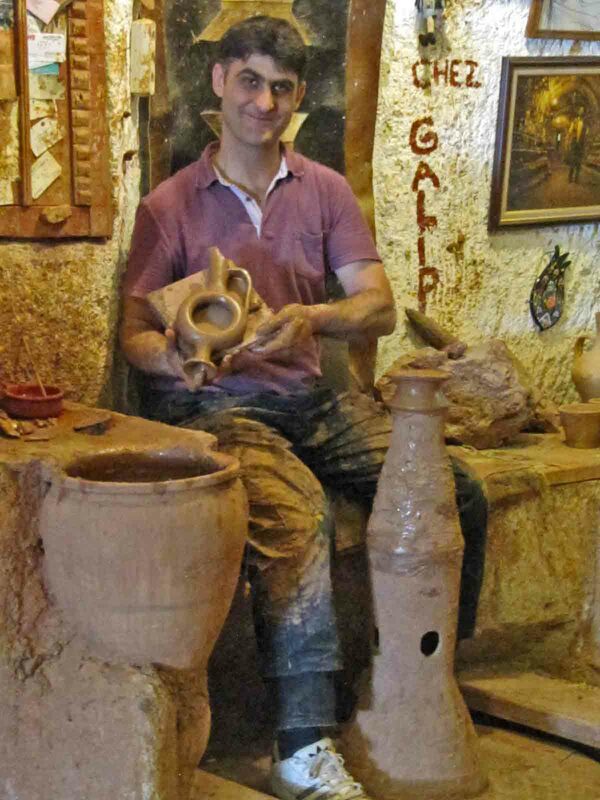 We toured Chez Galip Pottery located in Avanos. While watching a demonstration of the creation of a Hittite based design for a wine container, we sipped apple tea. We also observed an artisan painting a design on an item. The gallery area was huge and featured many unique items. In one area the lights were turned off so we could see the luminescent designs on some works of art. On our return we stopped to see the camel shaped fairy chimney in the Zelve region. We walked to the city center of Űgűp. One observation was a men’s coffee house where backgammon, card games, and a four person tile game were the focus. We dined atop the terrace of the Ditmer restaurant. The next morning we visited Ortihisar Fatih Ilkokulu elementary school in Neveahir. The children were enthusiastic to see us. The English language teacher was our guide during the visit to three classrooms. In the computer lab she talked in more detail about her creative use of common items incorporated within her teaching and showed us a short video of the program. We departed during a recess period and were mobbed by children wanting me to take their picture. 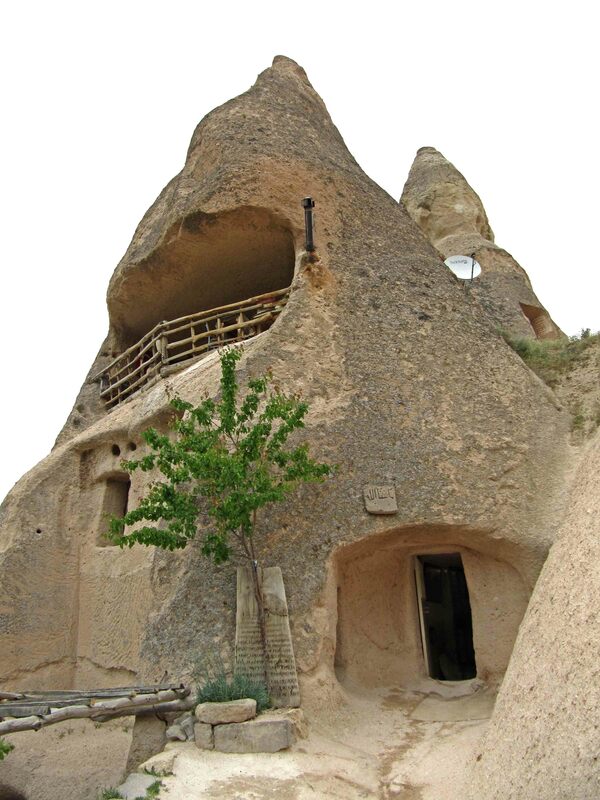 The Kaymakli Underground City is one of two such communities that are open to the public. 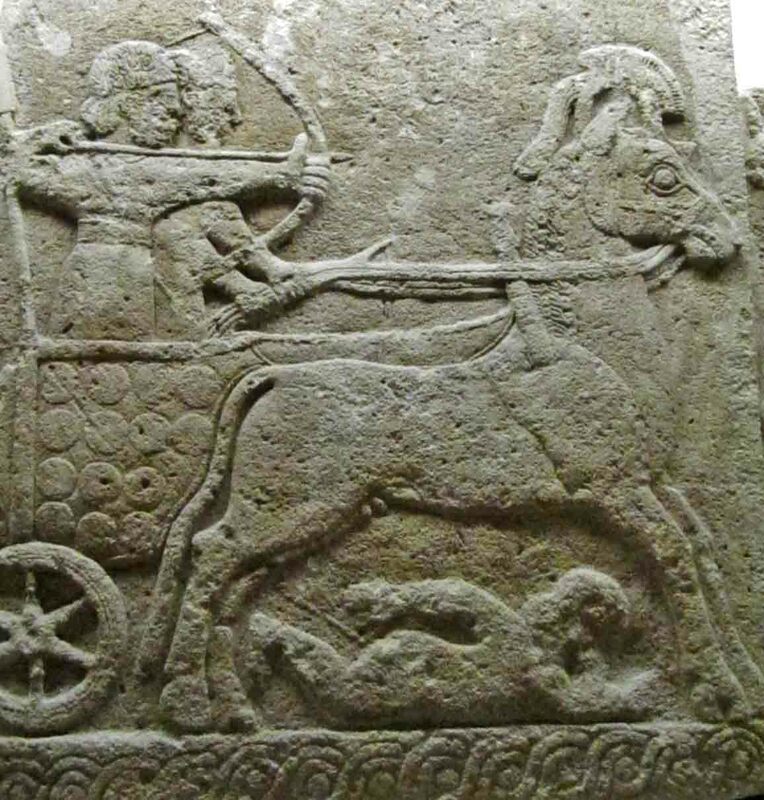 The Hittites may have started the chambers which were later expanded by Christians escaping Arab invasions of the 7th and 8th centuries. Discrete entrances give way to elaborate subterranean systems with air shafts, waste shafts, wells, chimneys, and connecting passageways. 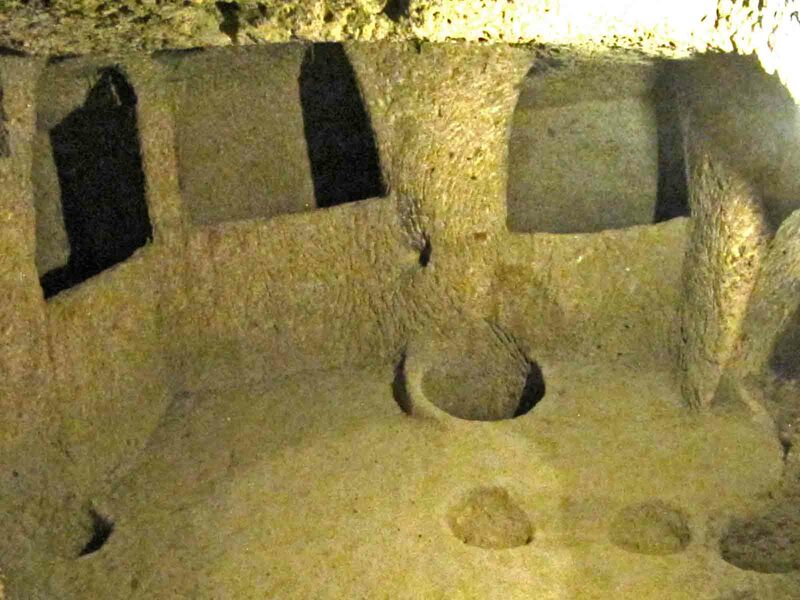 The upper levels were used for animal and human living quarters while lower levels were used for storage, wine making, flour grinding, and worship. Some of the passageways are little more than crawling spaces. After such strenuous crouching, my ravioli pasta lunch at Zerdali Restaurant was most welcome. 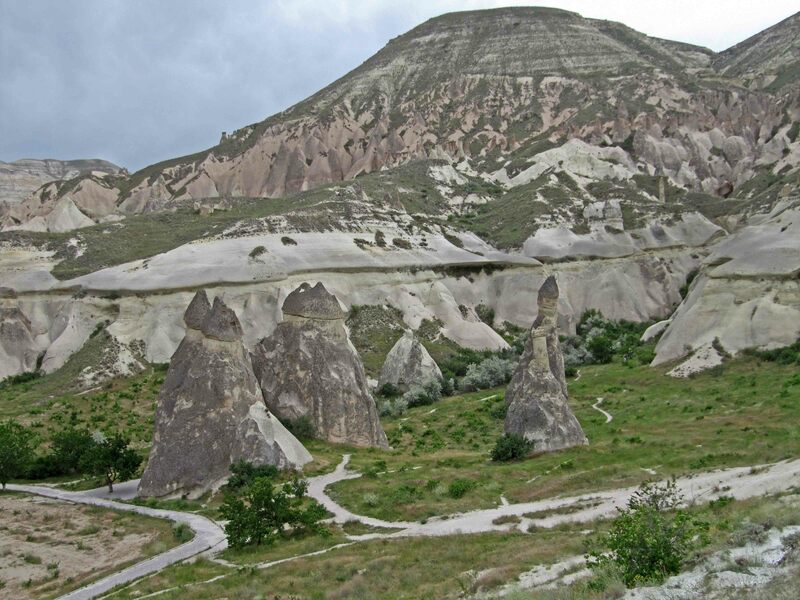 On our return trip to our hotel we stopped for a short walk in the Paşabağ region of Cappadocia which is known in English as the Valley of the Monks. Paşabağ means “Pasha’s Vineyard,” a name it received after the Byzantine Greek population left the region which is located in the middle of a vineyard. 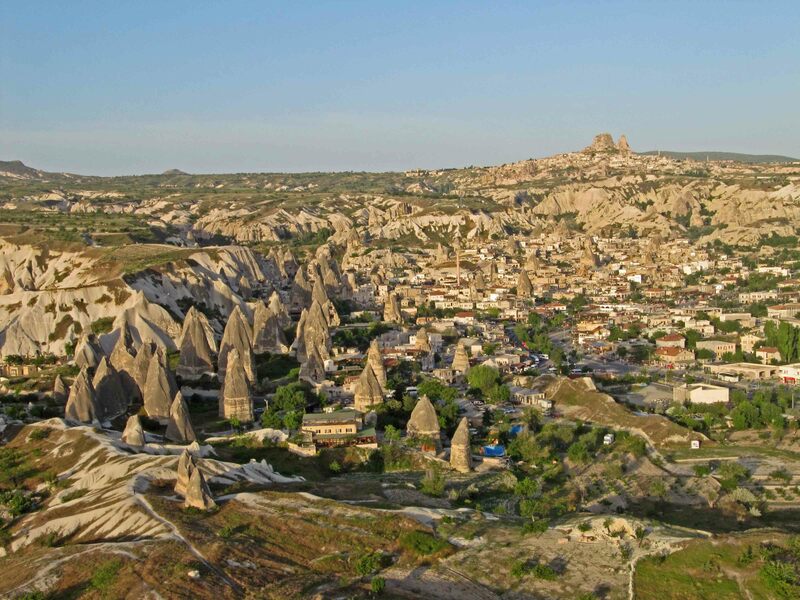 Paşabağ contains some of the most striking fairy chimneys in Cappadocia, the mushroom-shaped fairy chimneys. The fairy chimneys of Paşabağ harbor a number of cave dwellings as well as chapels once used by Christian hermits, the most prominent of which is a tri-level chapel dedicated to St. Simeon (Simon) and a hermit’s shelter, built into one of the fairy chimneys with three conical heads. On our last evening in this land of wonders we attended a whirling dervishes ceremony, a Sema, at historical Carevanserai by Saruhan. According to literature provided us, the Sema ceremony represents a mystical journey of man’s ascent through love, deserts his ego, finds the truth, and arrives to the “Perfect.” He returns from this spiritual journey as a man who has reached maturity and a greater perfection, so as to love and to be of service to the whole creation. Following the service we enjoyed another tasteful dinner along the Red River, Turkey’s longest river at the Kavi restaurant. Cappadocia is truly a land of wonders! Ankara, the capital of the Republic of Turkey since its founding in 1923, is a sprawling metropolis of five million people located about 2,700 feet above sea level near the center of Anatolia or Asia Minor. Before the Turkish War of Independence, it was a small town known as Angora because of its trade in Angora goat wool. Mustafa Kemal Atatürk, a military hero at the Dardenelles-Gallipoli battle during World War I, used the city as a wartime command post. He became President of the Republic of Turkey and served for 15 years until his death in 1938. 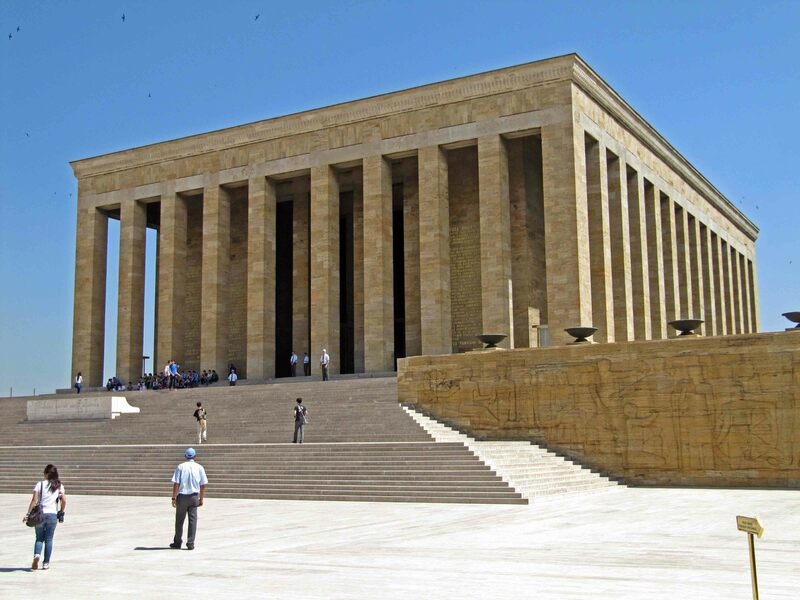 When the country adopted surnames, he was honored with the name “Atatürk,” which means “father of Turkey.” After his death a mausoleum was built to remember the sweeping cultural and socio-political reforms initiated by him. For lunch we visited the Washington Restaurant, located near Ankara Castle in the Atpazari district, which offered great food and expansive views of the city. Before leaving our hotel, the DoubleTree Ankara, Dr. Thomas Zimmerman, chair of the Archaeology Department at Bilkent University presented a lecture on the Hittite civilization of Turkey. The Museum of Anatolian Civilizations uses two Ottoman buildings but one was being remodeled during our visit. This exceptional museum, elected first “European Museum of the Year” in 1997, has a unique collection of Anatolian archaeological artifacts from the Palaeolithic Age to the present. Today we hiked the Horse Camp Loop Trail #383. 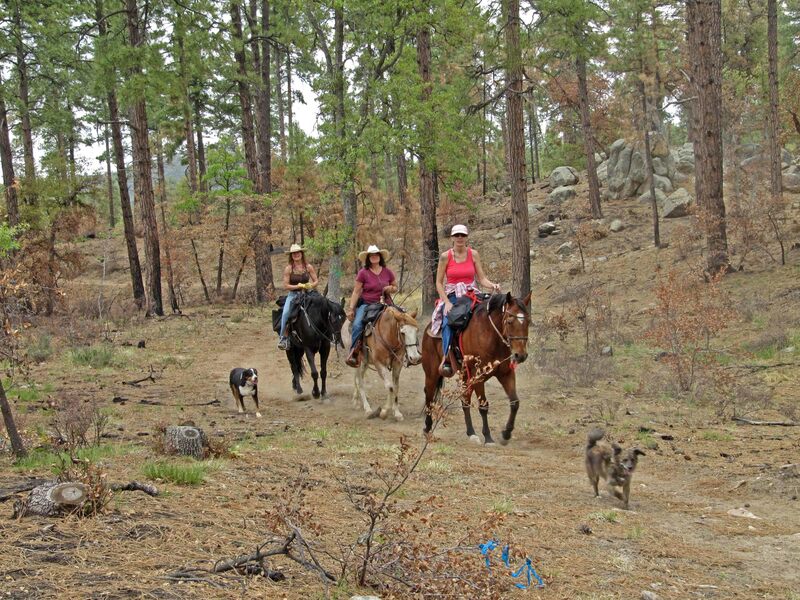 Two horses and their riders completed the trail as we started this 2.5 mile loop. We met three horses, their riders, and two dogs about one mile in. The campground near this trail accepts only campers with horses. Not too many wildflowers were in bloom, although we spotted several clumps of Oak Creek ragwort and a few places with Dalmatian toadflax, more commonly known as butter and eggs. Fire damage was evident along most of the trail which I don’t remember being so pronounced last fall when we hiked this trail in the opposite direction. Road work continues on Mount Vernon Avenue in Prescott. The area where we hiked is referred to as Groom Creek. 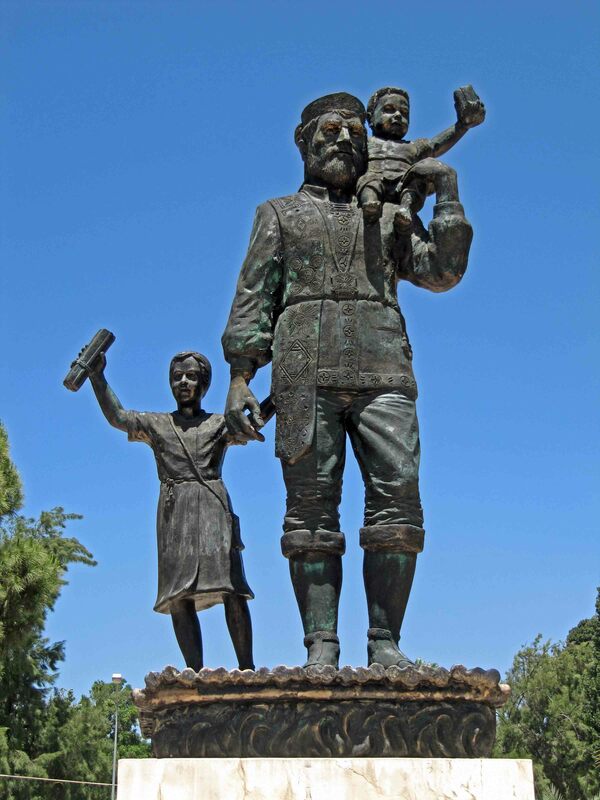 Col. Bob Groom (1824-1899) arrived in Arizona as a prospector in 1862. He surveyed the townsite of Prescott. Last night’s Phoenix Symphony Orchestra concert marked the end of Michael Christie’s eighth and final season as the Virginia G. Piper Music Director of the Phoenix Symphony. The final work on the program, Witold Lutoslwski’s Concerto for Orchestra, was a fitting conclusion to Christie’s contribution to the Phoenix music scene. This relatively unknown modern work represents the way Christie carefully introduced Phoenix to new music. It was also a fitting piece given how it featured the entire orchestra. The stage was filled with the maximum number of performers. The first movement, Intrada, featured the timpani who introduced a theme repeated throughout the orchestra. The second movement, Capriccio notturno e arioso, began with the upper winds followed by the violins and xylophone repeating the theme. Then, the trumpets blast forth along with the full orchestral sound before closing in a whisper. Passacaglia, toccata e corale, the final movement, begins with the bases and harps culminating with the focus on exquisite sounds from the first violins. The repeating theme is then played by the oboes and clarinets with a response melody from the flutes. The conclusion builds withe addition of all instruments including a percussion flourish. The evening began with a farewell tribute from the Symphony’s president and CEO Jim Ward and an excellent video presentation outlining the outstanding contributions of Michael Christie during his tenure. The first piece played by the orchestra was Dvorak’s Scherzo capriccioso, Opus 66. This somber, melancholy piece was not in keeping with the celebratory nature of this concert. Mozart’s Symphony No. 38 in D Major, K. 504 is a complex work featuring a half dozen separate thematic elements. We wish Christie well in his new position as Minnesota Opera’s Music Director. We preceded this special farewell concert by enjoying the views and food from the rotating Compass Room restaurant atop 24th floor of the nearby Hyatt Regency.